When I saw this Book being made into a cake on "Ace of Cakes" I immediatley wanted to read it. 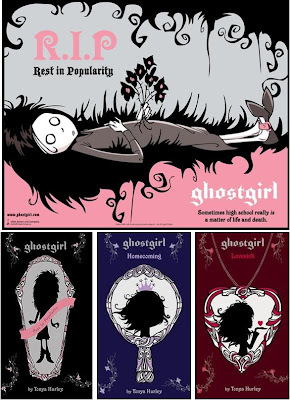 I had no clue what it was about, but the books were fantastically put together and the premise of a young girl (13 or so) dying in school by choking on a gummi bear just as she's about to tudor the boy of her dreams totally swept me. A few months after reading the first "Rest in Popularity" I found the second "Homecoming" and just Monday the 3rd book was released "Lovesick". Eric went to Barnes and Noble yesterday and picked me up the third book. I am so excited to get to the bus so I can read it! There's something about a new book that makes Metro bareable. I've never been a reader, but since riding Metro daily I've kind of had to become one or I would slowly lose the small sliver of sanity I still have. 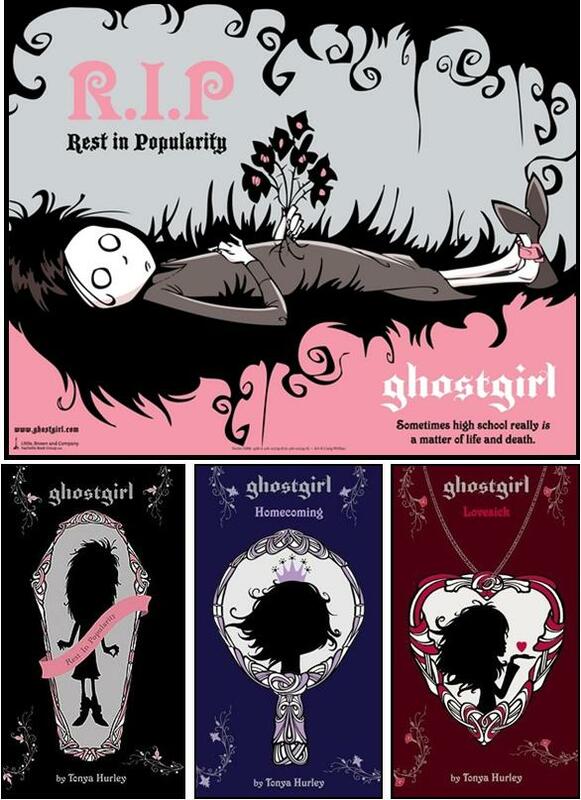 Thank you Tonya Hurley for giving us Ghost Girl!